Through his preferred method of communication, U.S. President Donald Trump continued a firestorm of tweets Monday attacking General Motors for its decision to idle its Lordstown Assembly plant in Ohio. 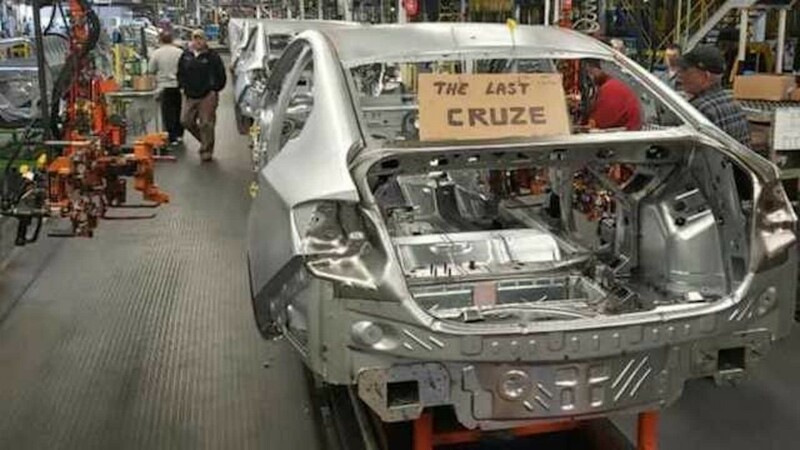 He questioned why the automaker and the United Automobile Workers union were waiting until September to negotiate about the Lordstown’s future, according to the The Detroit Free Press. “General Motors and the UAW are going to start “talks” in September/October. Why wait, start them now!” Trump wrote in one tweet. General Motors and the UAW will meet in September for contract negotiations, which will include discussions about the future of Lordstown Assembly, Detroit-Hamtramck, and two other plants in the U.S.
Just last week, the UAW met in Detroit to elect its bargaining team that’ll negotiate with GM on a new contract. At the UAW’s Special Convention, union leaders voted to raise strike pay $50 to $250, which will increase to $275 in January 2020 just as production is scheduled to conclude at Detroit-Hamtramck. The new round of tweets came after Trump criticized General Motors and CEO Mary Barra over the weekend. He also called out local UAW 1112 president David Green, calling him a “Democrat” who needed to “get his act together and produce.” It’s the same Green who wrote to Trump last year asking for his assistance in funneling new investment into the facility when GM laid off the second shift at Lordstown. It’s unclear what General Motor plans to do with the factory. Ohio Governor Mike DeWine recently said he’s not privy to GM’s decision-making process; however, he believes the automaker is doing work behind the scenes. He added that he hopes the state can be involved with any potential plans so it can help assist in bringing in new jobs. Many of those affected by the Lordstown closure moved to other job openings at other GM factories. Several have started working at GM’s Toledo Transmission Plant. what happened to the rocket gdp growth trump promised due to the tax cut? fed just cut this year’s gdp growth to 2.1%. not very bigly. Pocapornstar wants lots of things. Including Ivanka. Used to be the GOP was hands-off business regulation. But now, GM, Boeing, etc, all getting intructions from inside the Beltway. I think that his idea is not a bad one. There is a real possibility of a costly strike if GM does not reallocate product to Det-Ham and Lordstown or find something viable for those plants using the current workforce. Six months is a lot of time to decide these issues. Start negotiating now before more product is allocated to plants outside of the US. Need to keep this plant going so i can add more tariffs on steel and aluminum on the company…..